A little appeal for your help. Voting has opened for the Aviva Community Fund and we’re asking you to vote for the JPK Project. 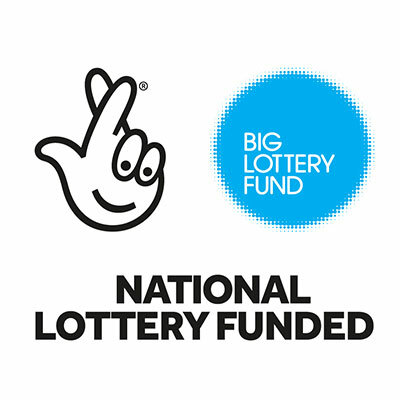 It’s a fantastic opportunity for us to gain valuable funding – and we need your help. Please follow the link to the Aviva Community fund website and cast your vote. It’s quick and easy and could make a massive difference to the Project. We’d also appreciate it if you could share it with your friends and family for them to vote too. The JPK Project unveiled its brand new Community Training Centre at an official opening event on Friday 29 September. Dame Jane Whitely DBE, our Patron, was present to welcome our guests, including local dignatories; HM Lord Lieutenant of East Sussex, Peter Field, and Mrs Margaret Field, Cllr Michael Ensor – Chairman of East Sussex County Council, Cllr Chris Hardy – Chairman to Wealden District Council, and Mrs Sue Hardy, Cllr Pat Hearn – Mayor of Eastbourne, with Mr Philip Hearn as Consort, Cllr Pam Doodes – Vice Chairman of Wealden District Council, and Rev Peter Doodes, Cllr John Pritchett BEM – Chairman of Willingdon & Jevington Parish Council, and Cllr Fran Pritchett. We were delighted to receive representatives from several grant making trusts, local clubs and societies, donors and supporters. And our guest list also included several future students and prospective residents who ably participated in the reception by serving canapes. 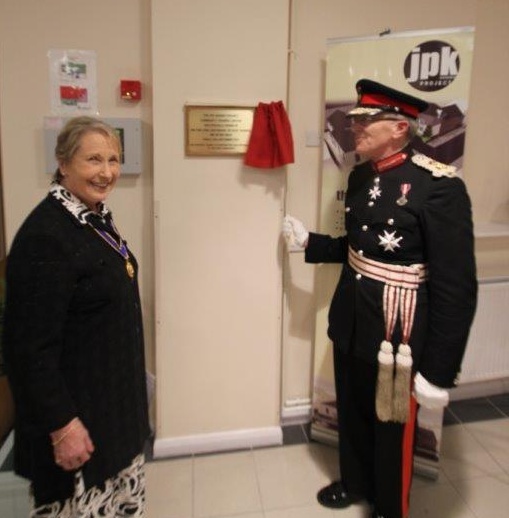 In her welcoming speech Dame Jane thanked everyone for their support and invited HM Lord Lieutenant Peter Field to officially open the Community Training Centre by unveiling a plaque in the Entrance Hall. Our newly fitted ‘Palm Court Tea Rooms’ looked fantastic and provided a fabulous space for the event. Guests were able to view the new ‘Bradbury Training Kitchen’ too, which has been brought together thanks to the hard work and management of Mark Bennett, JPK Trustee. Our grateful thanks also to CPL Architects, allied Partners and Contractors for their assistance in this endeavour and to Ivor McCann who undertook the photography on the evening. The completion of the Community Training Centre is the first stage in our future development of the JPK Supported Living Centre. It is expected to open in early 2018 with the support of experienced volunteers whilst we continue to raise funds for qualified staff. By June 2018 we will be recruiting students to commence their training. Fundraising continues for the building and refurbishment work to the communal rooms and for equipment and furniture to this area and the administrative offices. Alongside this, we have also commenced fundraising for the 8 semi-independent flats and the Activity Learning Centre and we are grateful to Andrew Devon who is assisting in this endeavour. The JPK Project October Newsletter is out now. Download your copy and get up to date on the Project. Did you know we’re appealing for obsolete mobile phones? Jenny Frampton continues to collect old mobile phones for the JPK Project which she sends to Recycle4Charity. For each one we receive a donation. Please pass the word to friends and relatives – it all makes a difference. And if you have an old phone, please give it to Jill Parker who will forward it to Jenny. The JPK Golf Day plays a big part in the Project’s annual calendar of fundraising events. This year, we’re thrilled to announce it raised £10,595. Regrettably, rain stopped play. But it didn’t dampen the spirit, support and generosity of so many people. Our thanks go to Mark Bennett and his excellent committee along with all the volunteers and sponsors who helped make it possible. 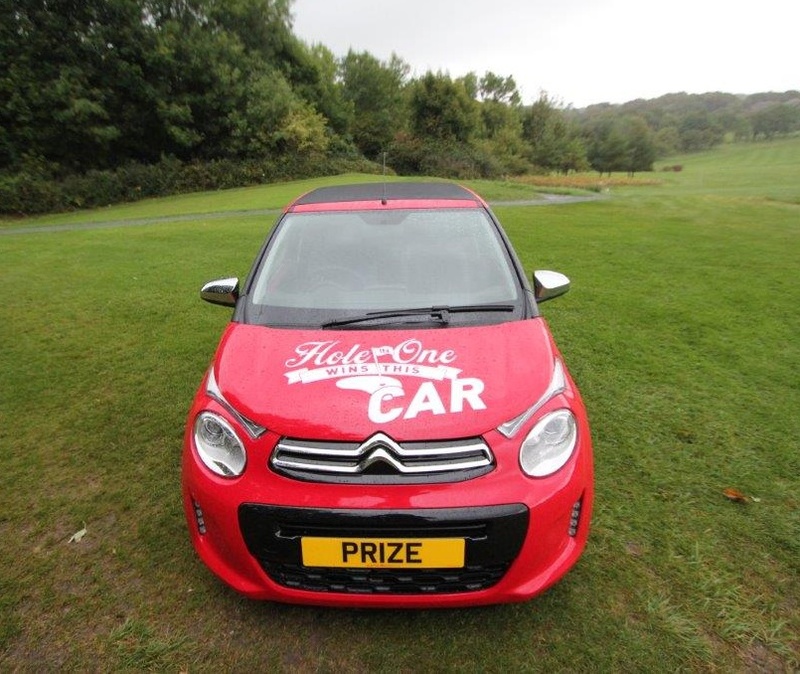 Few players had chance to try their skill and claim a hole in one on the 17th to win a Citroen car, sponsored by Wilmoths Citroen and Cavendish Bakery. It will feature again at next year’s event so please add Friday 7th September 2018 to your diary. 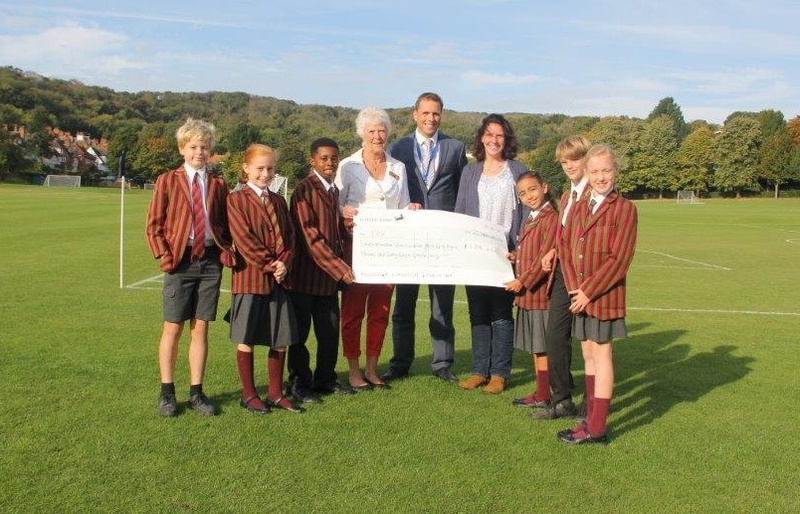 I was honoured to attend St. Andrew’s Prep in Eastbourne recently to talk about the JPK Project, our fundraising activity and aims to create a supported living centre in Eastbourne. The invitation followed a fantastic Magic and Sparkle Summer Ball in the summer which was organised by the Friends of St. Andrew’s to raise money for the Project and renovation work to the School’s Pavilion. The event was a huge success, drawing over 150 guests and raising more than £12,000. Last week I returned to the school and met with the headteacher Gareth Jones and several pupils who presented a cheque for £7,897.19. The donation will make a significant difference and on behalf of everyone at the JPK Project I extend heartfelt thanks and gratitude.